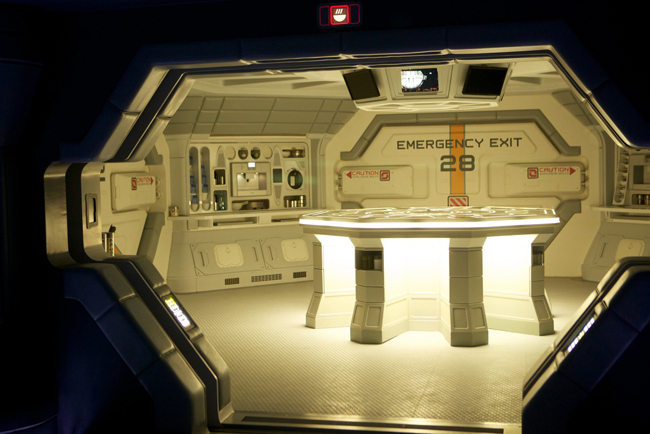 I came across this image the other day from the Prometheus shoot which shows part of the inside of the ship. I've had my concept art and behind the scenes photos from Moon up on my site since the film came out. The Prometheus picture above got me having a look through my gallery featuring the Sarang facility from Moon. Tell me I'm not imagining this but doesn't the graphic on the back wall look rather similar to my little watermark graphic in the images below? Love it!